As a young child I detected the cosmic microwave background – the radiation left over from the Big Bang. That doesn’t mean I was a child prodigy, it just shows that we had an old fashioned dial TV. About 10% of the static in between channels is caused by the remnants of that first explosion. I am staggered that even a five year old can detect the whisper of the universe’s origins. The Astronomer Dame Jocelyn Bell Burnell shared this fact during her presentation at the Wesley Methodist church as part of their Science Meets Faith lecture series this month. It was a fascinating talk, and she was very honest about her own faith and how her science had affected her beliefs. In the beginning, said Bell Burnell, all of space, matter and energy was contained in a space smaller than a grain of sand. Then time began with bang, and space unfurled like a new leaf from its bud. As space expanded and the radiation from the big bang cooled, energy converted into mass and particles formed. After millions of years, those particles came together and began to form stars: immense flaming balls of gas fuelled by nuclear fusion reactions. The first stars were made of hydrogen and helium, and when they had burnt themselves out they exploded, scattering their waste products across the universe. Those waste products included new elements, and when our own third generation star was formed there was enough carbon, oxygen and other elements around it to form rocky planets like Earth, and for life to develop. These vast timescales always send my mind reeling. Bell Burnell said there is a sense of awe when she does Astronomy but you can’t think about the vast size and history of the Universe all the time, or you wouldn’t be able to function normally! Astronomers noticed a long time ago that the Universe is still expanding. 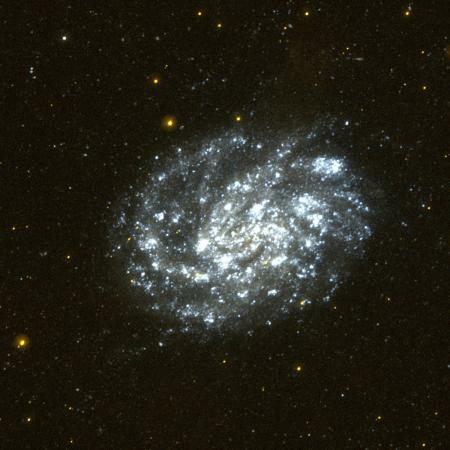 What they found more recently is that is the very distant galaxies are now much further away than expected. The expansion of Space is speeding up, and no one is quite sure why. When the galaxies eventually accelerate away from each other faster than the speed of light, everything outside of our galaxy will be invisible. So in a few billion years, we will appear to be alone in the universe. This is a pretty bleak picture, and it gets bleaker when you realise that eventually all the hydrogen will be used up, having been converted to other elements, and no new stars will be able to form. There will only be black holes left. The long-term prospects for humanity are poor. The short-term prospects are also poor if you step outside a space ship without the right protective gear! The Universe is – outside of the thin atmosphere of our own planet – a deadly place. So where is hope? Jocelyn is a Quaker, and it was interesting to hear how she made sense of this scenario. I didn’t agree with everything she said, but it was good to hear someone taking the history of the universe seriously when thinking about God’s character. She said that God either isn’t able or chooses not to be in day-to-day control of the world, but being present before God in worship is an encounter ‘beyond words’ that puts things in perspective. I am unwilling to share more of what Bell Burnell said about her faith, partly because her lecture was not recorded and made publicly available, and partly because she made a point of saying that her thinking is still evolving. She did use a number of poems to explain her feelings, and I think this one by Michael Leunig reflects the tone of what she said very well.